I recently turned the big 4-0 and it has me thinking about being proactive with my health and my beauty regimens now more than ever. In fact the more I am learning about how chemicals cause damage to the body instead of actually helping the body, I can’t help but look for all of the ways that I can replace my old products with new ones that do not have harsh chemicals in them or learn to make my own. 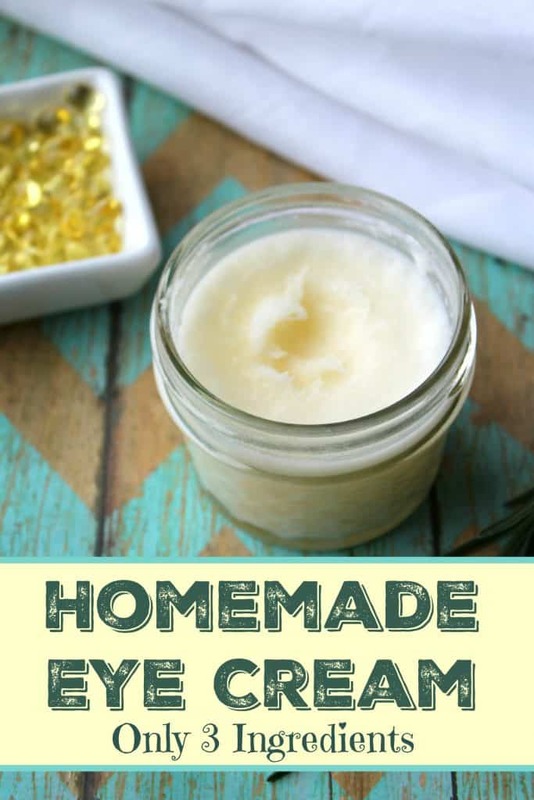 I used to think that I needed to use the overpriced chemical filled version of this super simple firming eye cream that uses three basic ingredients. 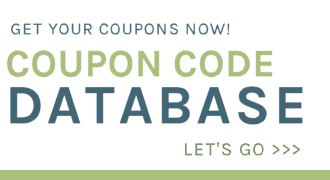 *Saving Dollars and Sense Tip: Real therapeutic grade essential oil can be quite costly. I use an essential oil blend called Joy which contains Rose essential oil and costs a fraction of the price. 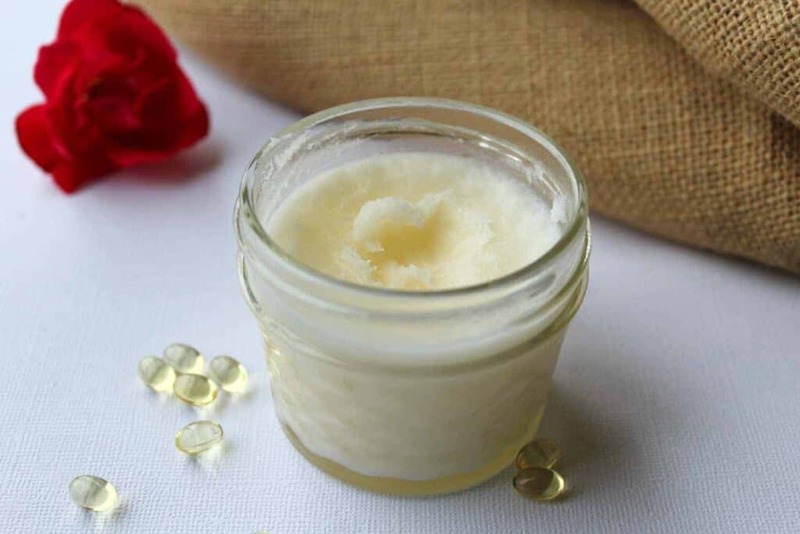 Are you ready to make your own all natural firming eye cream? 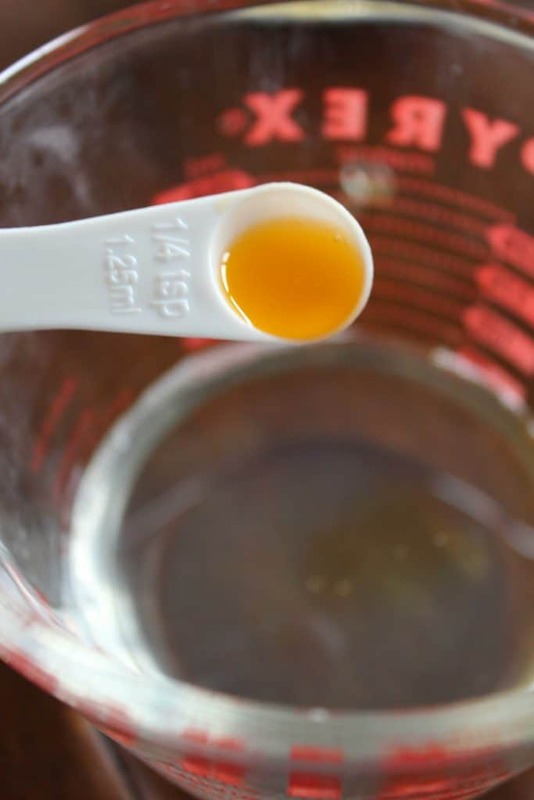 Pour the mixture into a small glass container and put into the refrigerator for about 1 hour or until the liquid returns to solid form. After it turns to a solid, there is no need to keep it refrigerated. The oils will not become rancid. 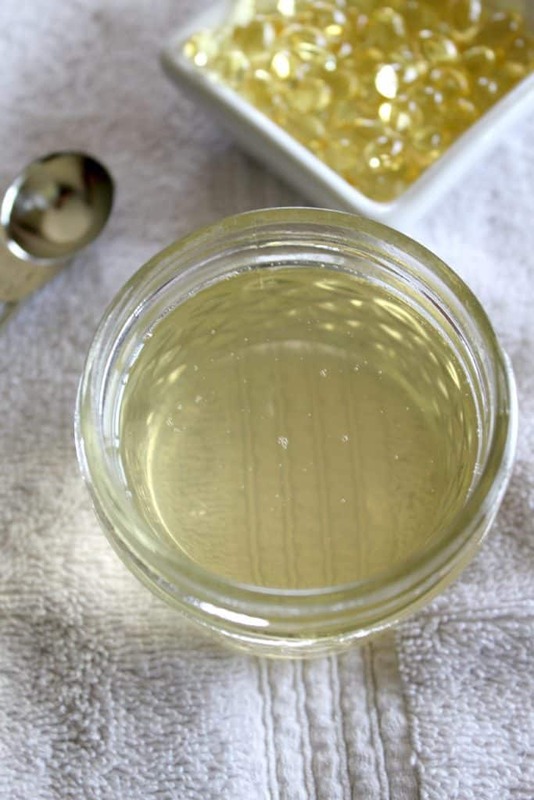 Use a small amount at nighttime, under your eyes and prepare to look refreshed! You can also use before you apply makeup. 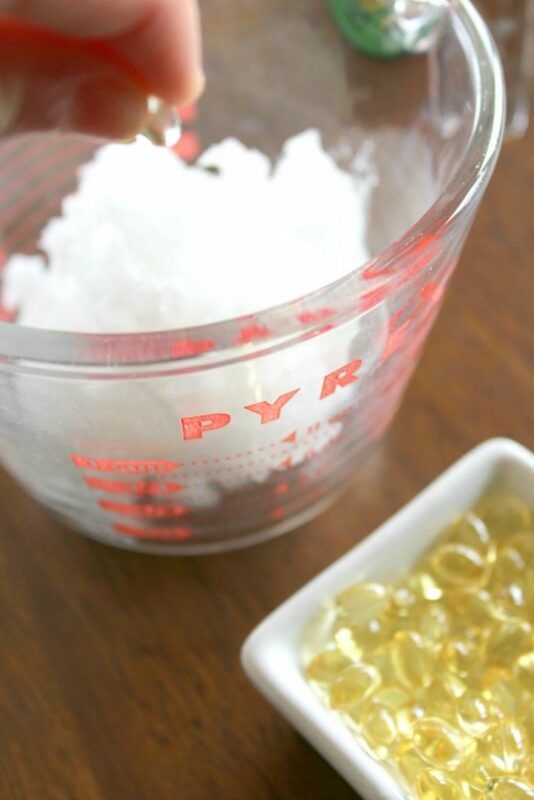 Just give it 10 minutes or so to soak into your skin before applying makeup. Everyone that joins with a Premium Starter Kit through me will get a welcome kit from me filled with freebies!!! My guess is that it will work great for that too. Does the coconut oil have to be organic. 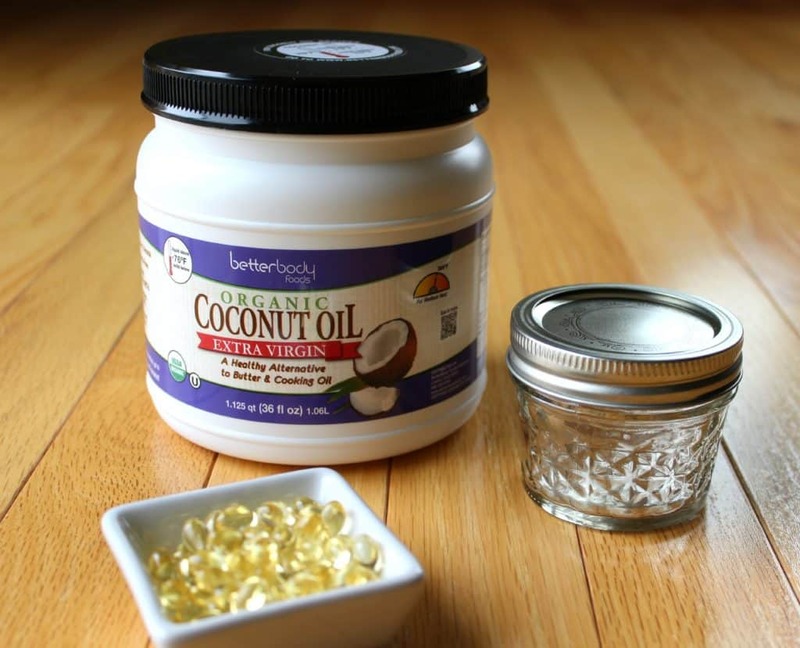 I have regular coconut oil to make some other things? It doesn’t need to be organic, that is just a personal preference. If I’m using vitamin e oil instead of capsules, how much is equal to 6-8 capsules? Maybe like 14 – 20 drops? Is this as effective without the essential oils? I am allergic to them. Thanks! The essential oils are what make this recipe work. So if I understand correct: you use an essential oil of your liking (called Joy and it contains rose oil) INSTEAD of the Frankincense oil? It is the Frankincense and Rose Oil that you need for it to work. I use Joy instead of Rose oil because the Rose OIl is very expensive and Joy has Rose Oil in it. I just started using this firming eye cream and was wondering about how long you used it before you started noticing a difference? Is there other oil I can use instead of rose oil? I suggest Joy essential blend from Young Living because it includes rose oil in it. BUT you can also just leave out the rose and still get plenty of benefits from the Frankincense essential oil alone. Great things to make and info to use. I think your recipe is fantastic but I propose you replace heating the oil with a microwave by using a “bain-marie ” to ensure the integrity of the heated oil. Do you think that it’d be fine to use this on your entire face as like a nighttime moisturizer? Should this be used 1x a day or 2x and when is the best time (morning or night)? I use it once a day, at night before bed. Is it required to put it in a refridgerator or can it solidify In room temperature? Thank you! You could always try it and if it doesn’t solidify then stick it in the fridge. Hi! Is it really required to place it in the refrigerator or will it solidify on its own in room temperature? 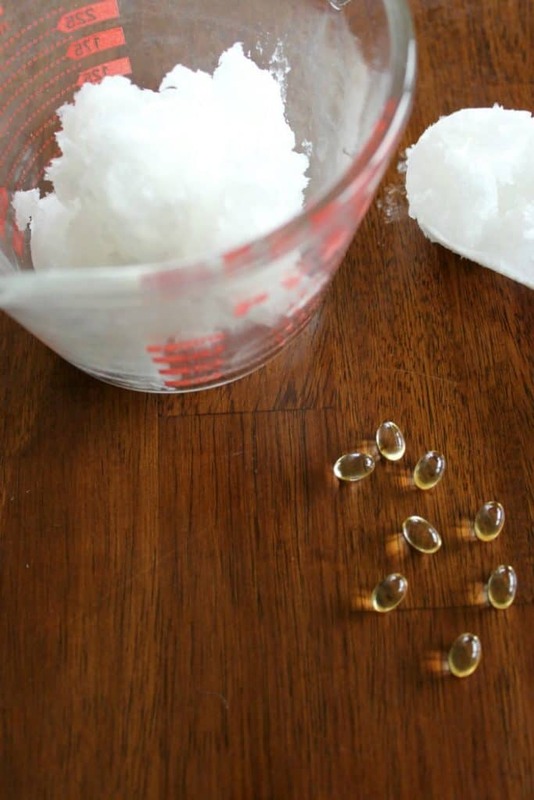 As the recipe says’coconut oil’, what about the facial hairs… will they grow fast with its regular use??? Does it have to be frankincense oil or is there another one that might work just as well? Frankincense is the best choice for this recipe. hi. can i use bitter orange oil insted? I’ve never tried that one before. With this work and a pump? I didn’t have any frankincense on hand so I used geranium. It turned out wonderful and smells so good! I will be adding these to homemade Christmas baskets.